Like most moms, I’ve sampled my share of sippy cups. Always in search of the best sippy cup, I’ve forked over a small fortune for a wide variety of mediocre kiddie cups. Trying to avoid wasting further money, I happened upon some great reviews for the Pura Kiki Toddler Sippy. 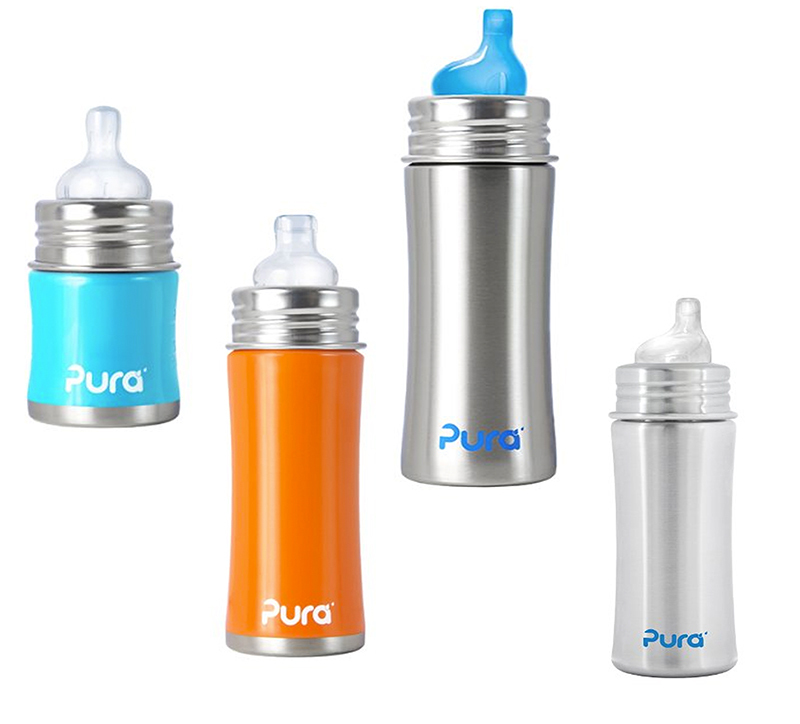 Designed for both babies transitioning out of the bottle and toddlers alike, the cup’s focus is on a BPA free, stainless steel body with medical grade, spill-proof spouts. I will say I don’t find them completely spill proof, but they are more resistant to spilling than other sippy cups I’ve tried. Note: the supplied silicone caps do help with the prevention of leaks and keep spouts clean. I recommend the 11-ounce size (as it grows with your child) and the fun colored assortments versus the plain stainless steel ones. Mom tip: It’s smart to dedicate a color to each child to avoid accidentally sharing liquids. Excellent for keeping water, juices, and milk cool in the summer, I will be testing these sippies this winter with warmer liquids—I’m pretty sure beverages will keep warm in these in the cold months ahead. Easy cleanup is another draw of these cups, with parts being both dishwasher safe and easy to clean with a bottle scrubber. Note: You should squeeze the sippy cup spouts before you first use them so that the silicone material can soften and allow for easier liquid flow. The verdict? Long lasting and safe, I definitely recommend them!